Relax Your Mind With Short Music Breaks - What Is Dialogue? There are a myriad of practices, paths, books, electronics, sounds and courses all extolling and promoting the benefits to be found when you relax your mind. Generative Dialogue is no exception, we think a clear and relaxed mind is the starting point to creating a truly remarkable experience of interaction and understanding. We encourage participants in Dialogue to practice relaxing the mind not just in Dialogue sessions but also at home. There is no one right answer when we set out on the journey to relax our mind, there are plenty of signs and waving hands pointing to their way, but it needs to be a way you’ll follow with some sort of regularity or the value is really quite small. In the simplest terms, you must practice if you want to master Dialogue. Recently I came across a bold statement telling me that the first song in this list “Weightless by Marconi Union” was the most relaxing musical track in the world. Wow, how could I not go and take a look or listen as the case might be to see if their claim held water. I’m always looking for alternative techniques and technology to share with readers so you can relax your mind and better communicate at work and at home. Well, is it the most relaxing tune in the world? I don’t have a clue, but I can tell you from my listening to these tracks below there are some surefire picks to relax your mind and smooth out the days ruffles. Give them all a try and pick two or three to really spend some time with. Taking a break 2 or 3 times a day is a great way to untie the knots of stress in your body and also relax your mind. 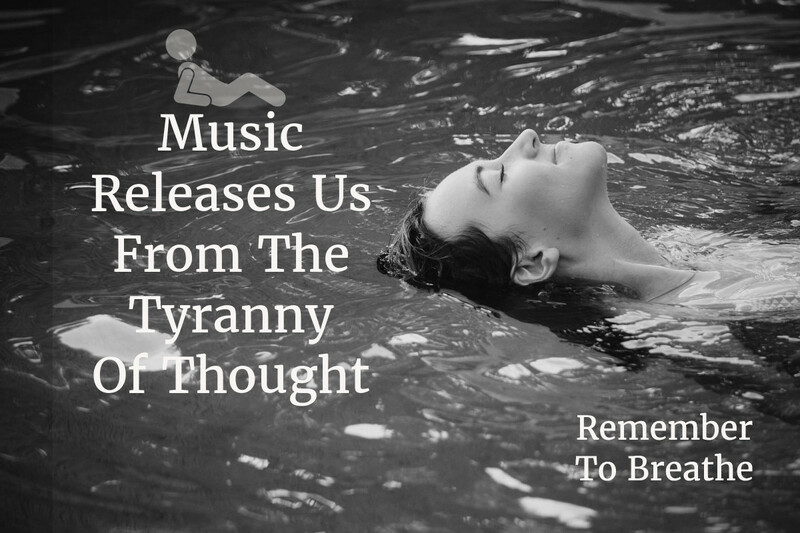 But some people don't want to meditate or breathe deeply and so for them here are 10 pieces of music shown to reduce stress and relax the mind. The research was done by Mindlab in the UK for Radox-Spa and they came up with a list of music to relax your mind the most. Their research also showed that some music can be more relaxing than a massage, think about how great doing both at once will be. The music below is the order that Mindlab came up with in their research to find the 10 most relaxing pieces of music. Of course not everyone will find all ten to their taste. Enjoy! It's rated the number one relaxing music track by at least a dozen blog posts and articles on the web. Called Weightless the track is 8 minutes long and was created with the help of MindLabs in the UK using EEG and Biofeedback equipment that tuned it to heart rate, brain waves and breathing... I love the track and bought the whole album. This track titled Electra by the electronic music group Airstream landed at number two on the top ten list of the worlds most relaxing music. This track has more of a background beat than the number one track on this list " Weightless" I find it relaxing and easy to have playing in the back ground but I do lean more toward less of a background beat in the ambient music I listen to. Give it a listen to. This track has a kind of upbeat sound that might fit well into the background when you have a group of friends over for a simple dinner or sitting around with some wine and talking about things. The best in the background is more than I like but again I'm not a super fan of a driving beat when I listen to ambient sounds. Check it out it might be just what you're looking for. Coming in at number 4 on the list of tracks that will relax your mind this cut by Enya has been around for nearly 30 years and has a bit of a dramatic movie background going on. I'd play it in the background if I was staring our the window pondering a question or maybe looking for a line that would fit well in a story I was writing. I think it is the shortest track on this list. Give it a listen see what you think. I would never have thought of Coldplay's track Strawberry Swing falling into the relax your mind category but as I listen I guess I cn see it. It's good to remember that the tracks on this list were picked because of how they effect your brain waves, heartbeat and breathing so this is one of those cases where you can't judge a book by it's cover so to speak. Give it a listen. W. A. MOZART - DUETTINO " CANZONETTA SULL´ARIA " y " CHE SOAVE ZEFFIRETTO "
The video below is about the steps and Procedures MindLab went through to come up with this list of top 10 relaxing pieces of music.